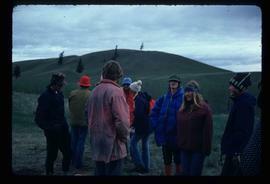 Image depicts a group of hikers, possibly somewhere near Riske Creek, B.C. 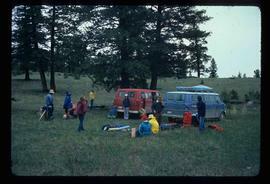 Image depicts a group of people and two vans, apparently preparing to set out on a hike somewhere near Riske Creek, B.C. 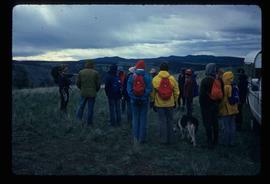 Image depicts a group of hikers listening to a man, possibly a guide, speak. 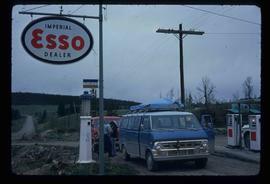 The location is possibly near Riske Creek, B.C. 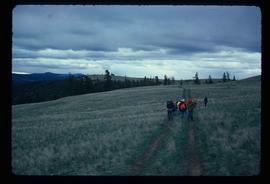 Image depicts a group of people hiking, possibly somewhere near Riske Creek, B.C. 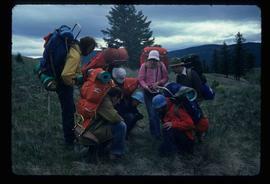 Image depicts a group of hikers examining something on the ground, most likely the small pink flower that is barely visible in the grass. 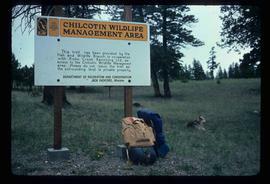 The location is possibly near Riske Creek. 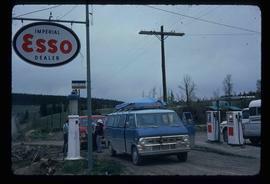 Image depicts the Esso gas station in Riske Creek, B.C. Image depicts Riske Creek, B.C. 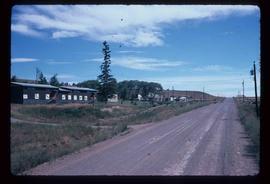 The brown building on the left is the local school. 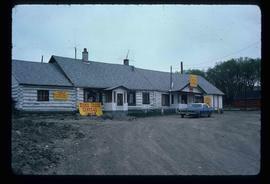 Image depicts the "Riske Creek General Store" in Riske Creek, B.C. 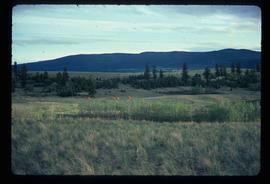 Image depicts several orange and blue tents, possibly somewhere near Riske Creek, B.C.